Ceylan Energy will be sponsoring and participating in Sri Lanka’s first E&P symposium, which will take place between 8 and 12 July in Colombo and Kandy. The invitation-only symposium will be a chance to learn more about the up and coming second licensing round in Sri Lanka. 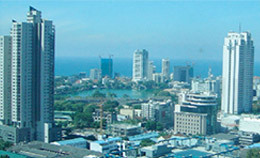 The event, organised by the country’s Petroleum Resources Development Secretariat (PRDS), will also showcase the commercial, cultural and social benefits of working in Sri Lanka. Earlier in the year, the team from Ceylan Energy attended a series of road shows organised by the PRDS that were held in Houston, London and Singapore to promote the Island’s second petroleum exploration licensing round.